The Burmese Pythons (Python molurus bivittatus) in the exposition of the zoo have a large terrarium. This is the only positive thing I can write about them. 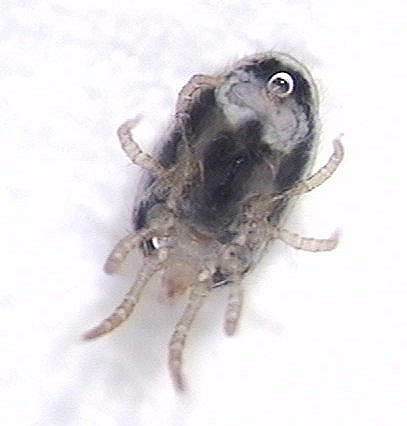 They always have and always had snake mite (Ophionyssus natricis). For the visitors of the zoo it is visible on the albino specimen. The people who have to take care of the snakes know that they all suffer from this parasite. Some efforts have been made to end this parasitic invasion, but this never is successful. On the floor of the terrarium lays a kind of Novilon carpeting. Easy to clean, but it is damaged on several spots. The mites can hide there. There are also many other spots in the terrarium where mites can hide. These mites weaken the snakes because they feed on their blood! 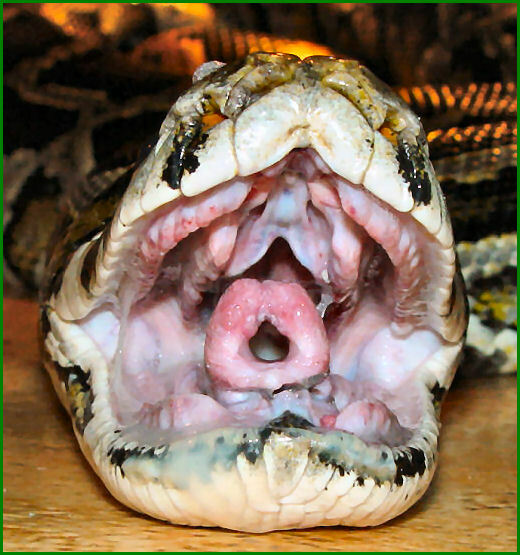 Also the Burmese Pythons in the zoo often suffer from respiratory problems, especially in the wintermonths. The terrarium is too cold in this period. This problem is easy to solve, but costs money (heating costs). Lots of Burmese pythons died in this terrarium. 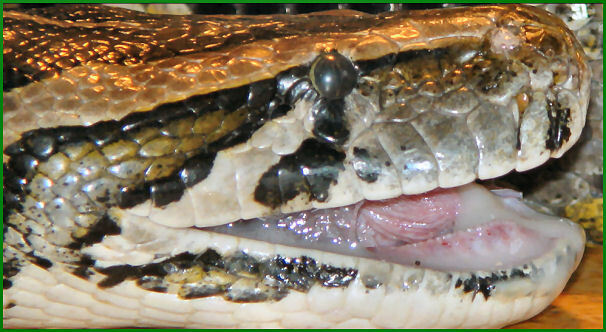 Burmese python with pneumonia. Lots of mucus in her mouth.